Now that it's the Holiday Season, I'm guessing you might have a Christmas party or two to attend. It's always a good idea to bring the Hostess a Gift. It takes a lot of work to plan and throw a party, so a gift is a nice gesture to show how much you appreciate it. 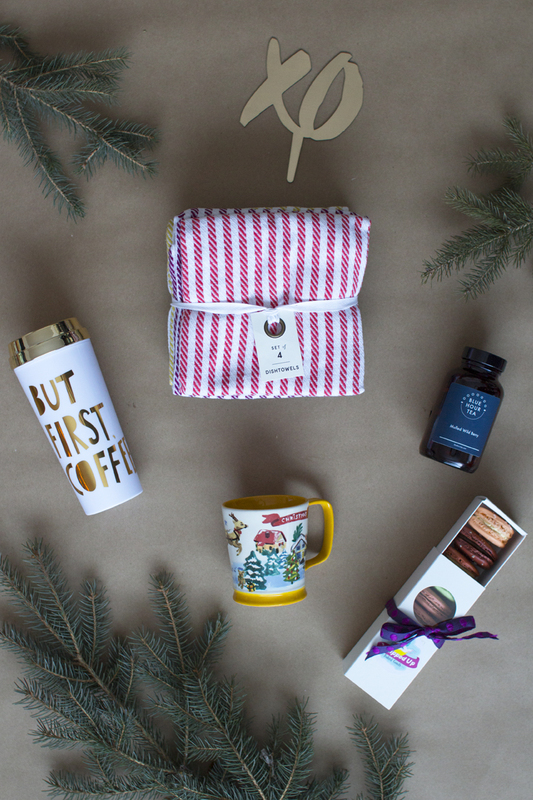 I've rounded up a few fun & pretty Hostess Gifts to inspire you. Of course wine is always a welcomed Hostess gift too, haha! 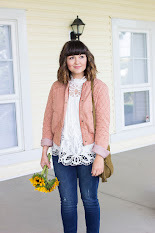 I first discovered Blue Hour Tea through some other fellow bloggers, and I was so impressed. 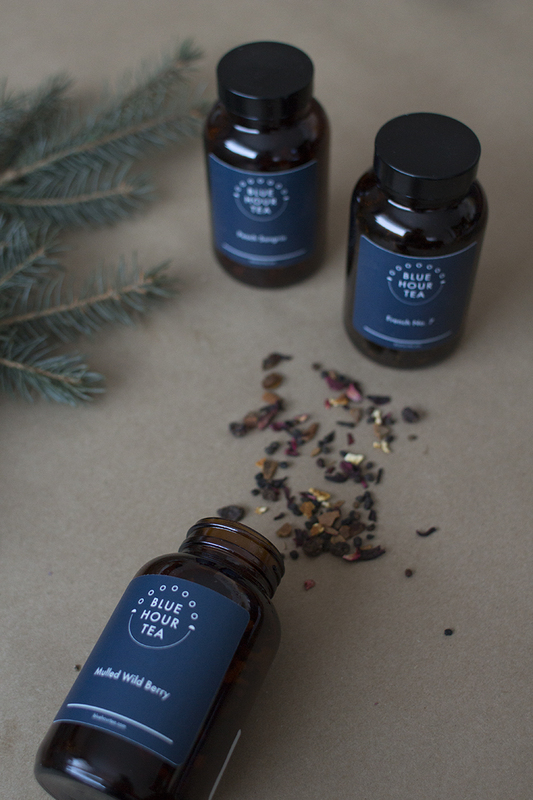 They are Canadian, handcrafted, and work closely with farmers to create their magical tea blends. 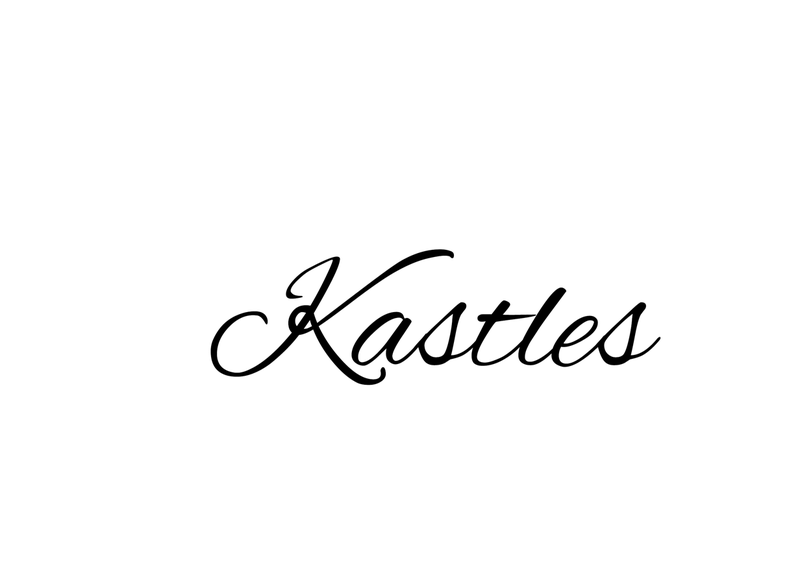 The little glass jars they come in are so cute and make the sweetest little gifts. Also let me tell you that Mulled Wild Berry smells out of this world, I just wanted to keep sniffing it all day. Click here to find a list where you can pick up their products in Edmonton. Anthropologie always has such a great variety of gift ideas. Cute little dish towels aren't only practical but pretty. 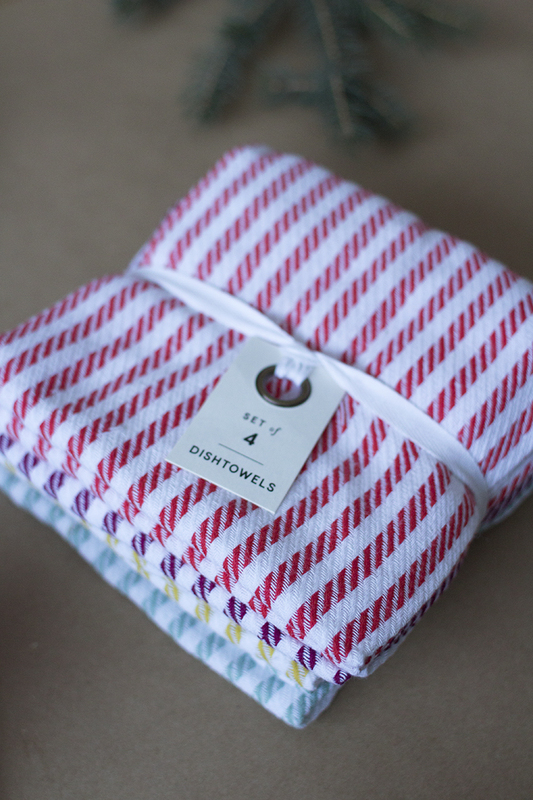 I find a set of darling dish towels make a nice gift because it's something you would like to buy for yourself but usually don't. I love the cute stripes on this set, and the fun colors. They are slightly festive but can still be used all year long. Umm hello, can you go wrong with anything that has shiny gold on it? I don't think so! 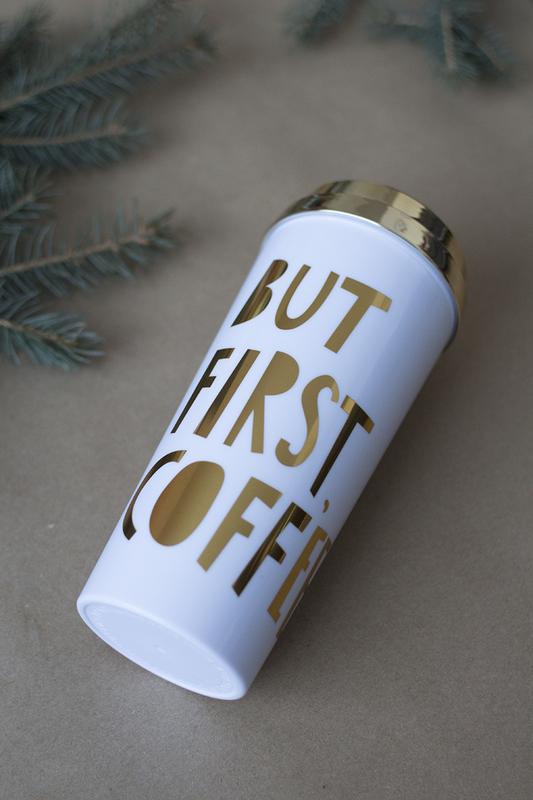 Ban.do has done it again with their adorable But First Coffee thermal mug. Stick a little gift card for coffee inside and it's just a cherry on the top. How is this for a fun & special gift? 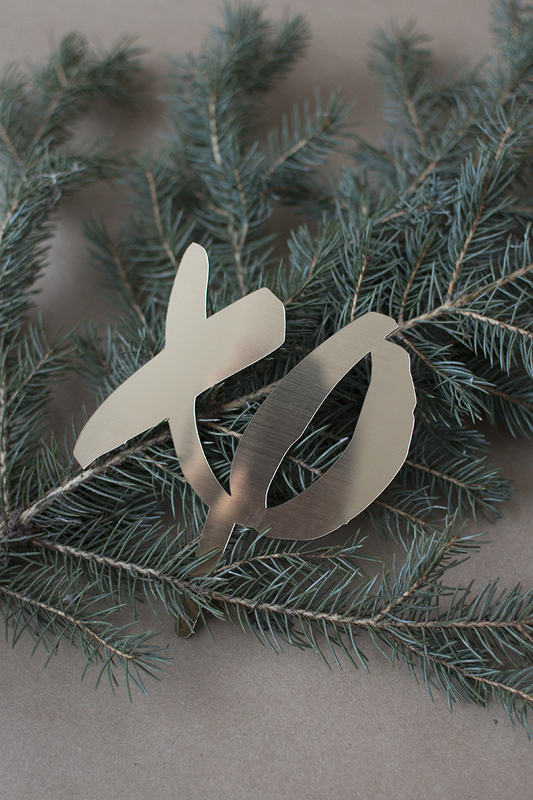 A Gold XO cake topper from local gem of shop, Plum Home. 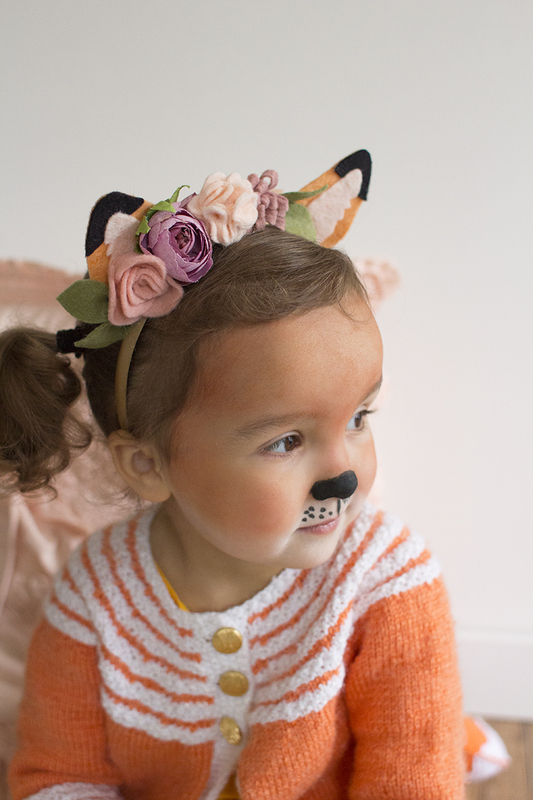 They can use it to stick in a cake, pile of treats or even a floral arrangement. Even better bring it with a tiny little cake to present to the Hostess. I fell like you can never go wrong gifting someone a cute & adorable mug. Especially a darling festive one, like this Nathalie Lete Christmas one from Anthropologie. Her illustrations are always beautiful and so special. 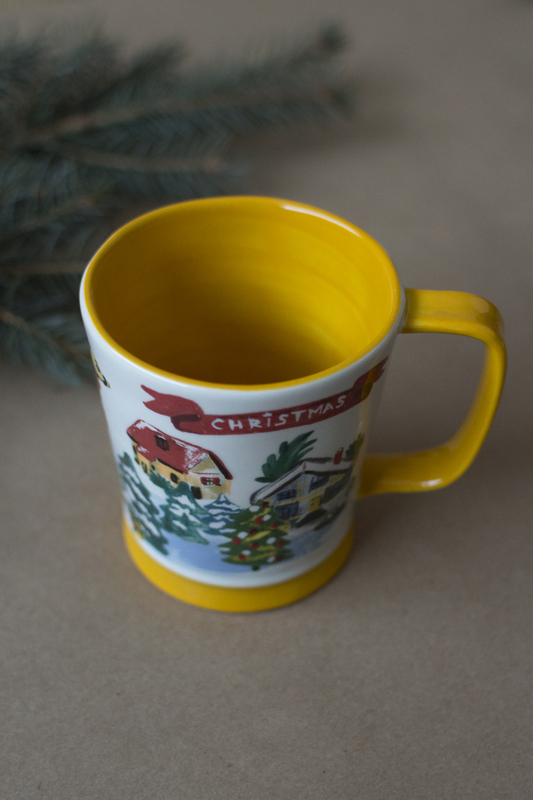 I have a collection of her Christmas plates and now these mugs, and I think they will make great keepsakes for years to come. Plus it's always so special taking them out just for December. So I'm pretty sure these delicious treats would be a hit to bring to any festive gathering. These french macarons from Whipped Up Yeg are yummy & festive. 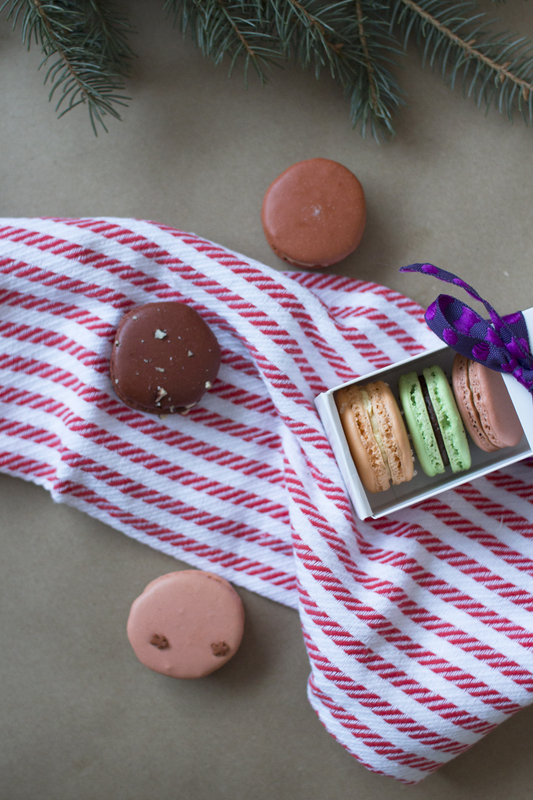 Pick up a cute little box, tie a ribbon to it & watch your Hostess drool with delight. Whipped Up Yeg will be at the Christmas Shopping Bonanza tomorrow for her last market of the season. Make sure to stop by! Oh and check out my Instagram page for a fun giveaway with her! What's your favourite gift to get as a hostess?